Let Fox Fire Mountain take you on an adventure of a lifetime with a Waterfall Canopy Zip Line Tour! This course has seven different lines and two sky bridges with several platforms, each with their own unique points of view. 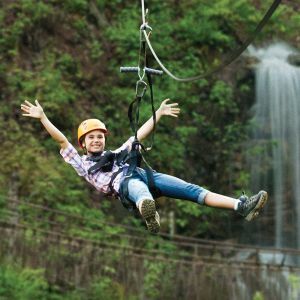 You will glide right over their very own Lost Mine Falls and experience picturesque treetop views of the Great Smoky Mountains. Advance reservations are required. Tour times vary and may be determined by weather. Tour lasts approximately 2 hours. Minimum age is 7 years old. Maximum weight is 265 lbs. Final Hotel charge and Zip Line purchase will be two separate transactions. Reserve your room today at the Courtyard by Marriott! 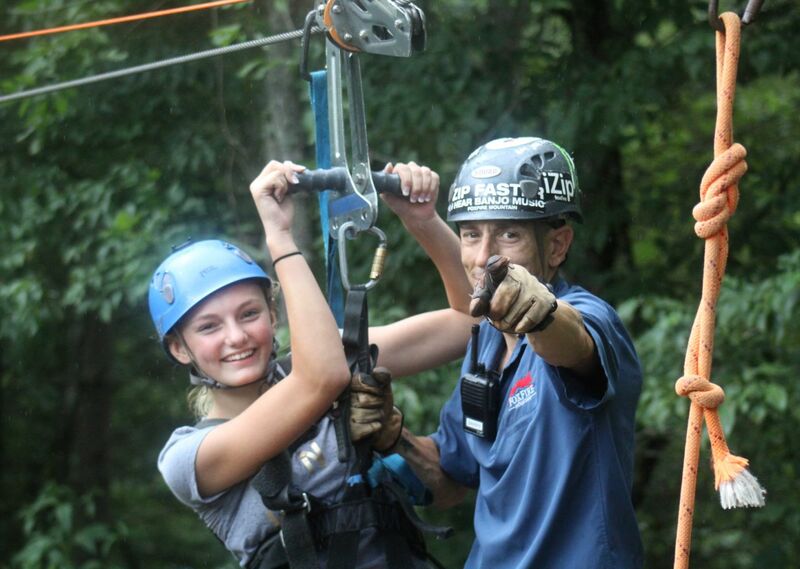 Then call at 865-286-0545 to set up Zip Line reservations!